As part of our #WasteDialog around the 2017 Global Dialogue On Waste, we are publishing Q&A from organizations that featured in our Waste Pioneers list. This Q&A is with The Campus Kitchens Project. The Campus Kitchens Project have figured out how to create a student-run kitchen that will keep food from going to waste, and turn it into nutritious meals for those who are struggling with food insecurity. One aspect that isn’t communicated about as frequently is the number of resources that are already in your community to help fight waste. The Campus Kitchens Project focuses on asset based community development, a strategy that encourages you to view your community as an interconnected web that, rather than focusing on weaknesses and deficits, stresses the strengths and capacities of a group of people. 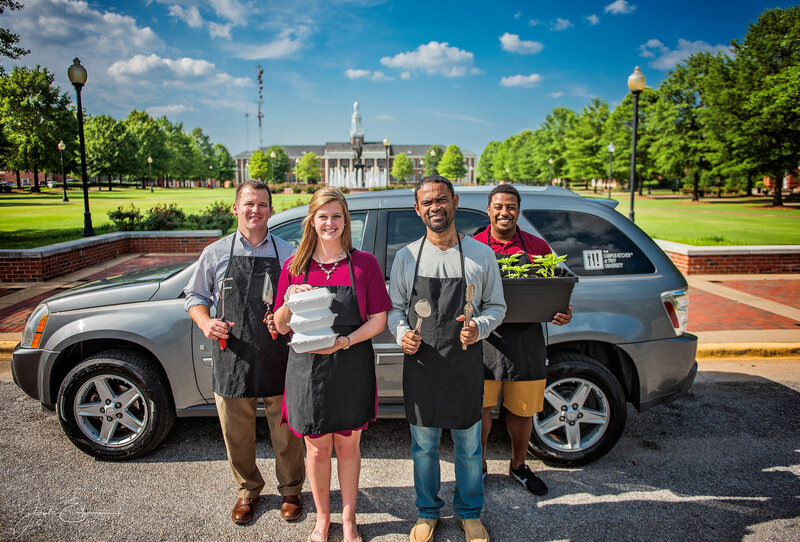 Our students divert food waste by recovering food from their dining services and local grocery stores and farms. They use donated kitchen space in off hours to recreate new meals and then deliver it within their community. The key is to evaluate the resources already available to you in order to fight waste. On the local level, individual Campus Kitchens often struggle with getting the word out about their work within the community both on-campus and off. In order to support students as they approach their administration or new community partners, we’ve created several tools for our students to help them pitch CKP. One challenge that The Campus Kitchens Project has faced on the national level is continuing to provide sustainable and effective support to all our Campus Kitchens. To combat that, we have created an online planning tool, called the Center, to help interested students bring a Campus Kitchen to their school. Are there any recent campaigns from Food Recovery Network that you would like to share? With support from The Rockefeller Foundation, The Campus Kitchens Project and Universities Fighting World Hunger created a new toolkit called Trash Hunger, Not Food, to not only better equip you as a food waste champion, but also to help you mobilize your school to become a hunger-free campus. Developed for students by students, this resource includes educational information, step-by-step suggestions for both individual and campus-wide activities and a number of awareness-building social media tools including shareable videos. You can find the toolkit at campusfoodwaste.org. We discussed Collective Action in the bWW 2017 Global Dialog on Waste. How do you think Collective Action relates to The Campus Kitchens Project’s work? Who are the stakeholders that play in part in ensuring this collective action? Collective action is a key piece in the success of our network. As a network of over 60 schools, our student leaders become a movement, working together nationwide. 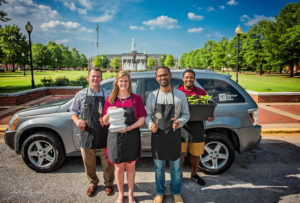 In order to run a successful Campus Kitchen, you need the support of your dining services, fellow students, school administration and the local community.